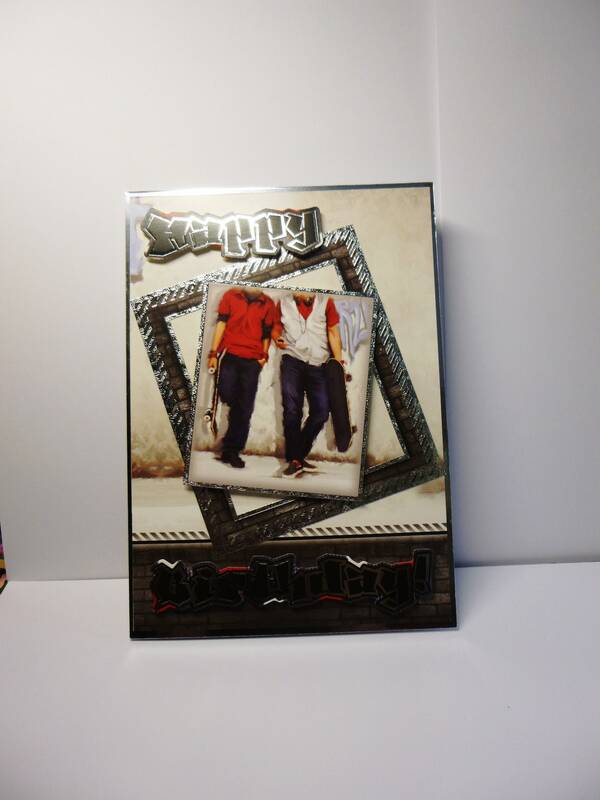 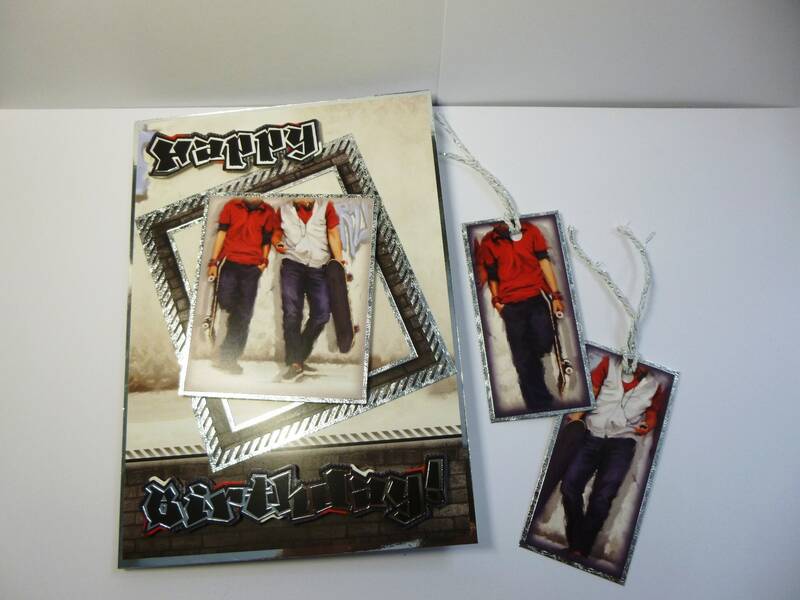 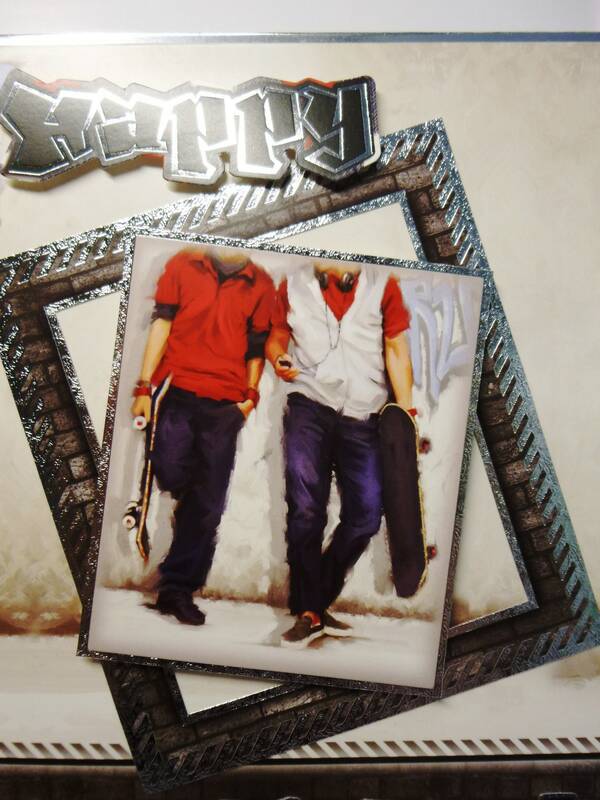 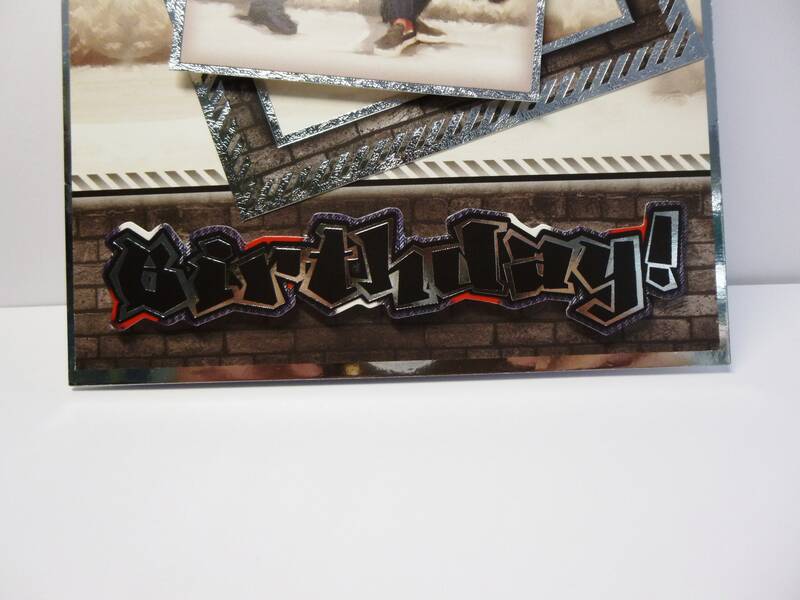 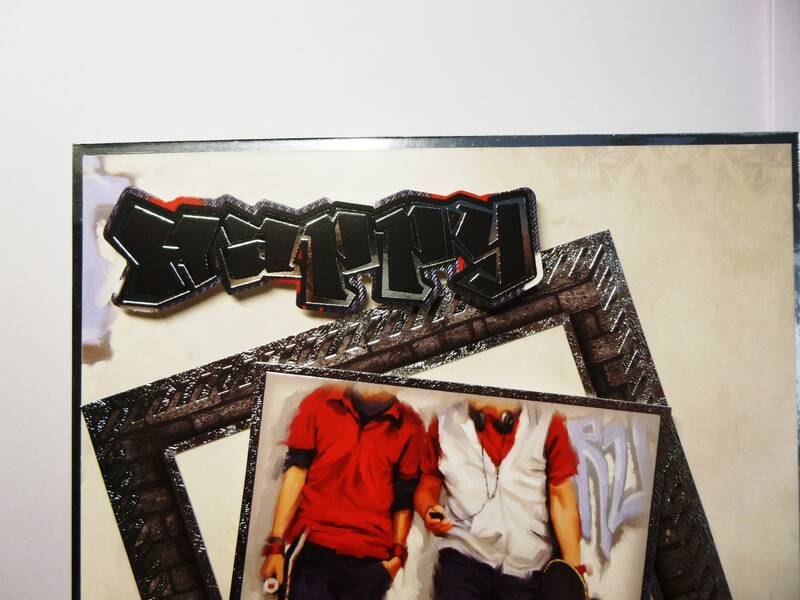 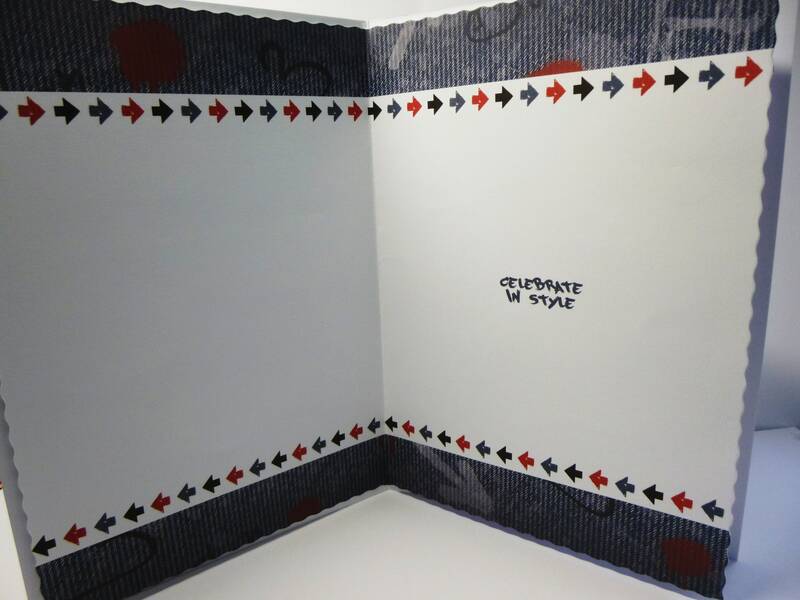 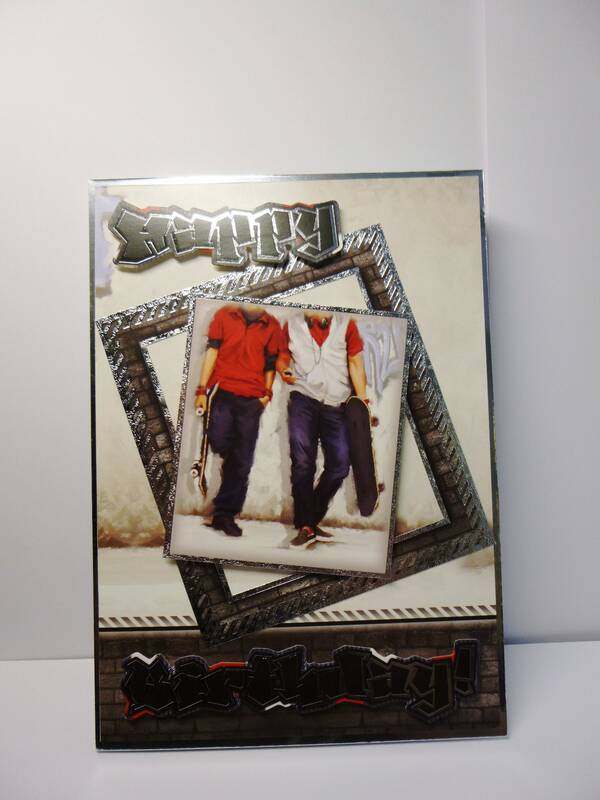 Male birthday card, made from white base card and layered with silver card, and patterned card with a large square frame placed at an angle and a large topper of two young men holding skate boards leaning against a wall this is also set at an angle in the centre. 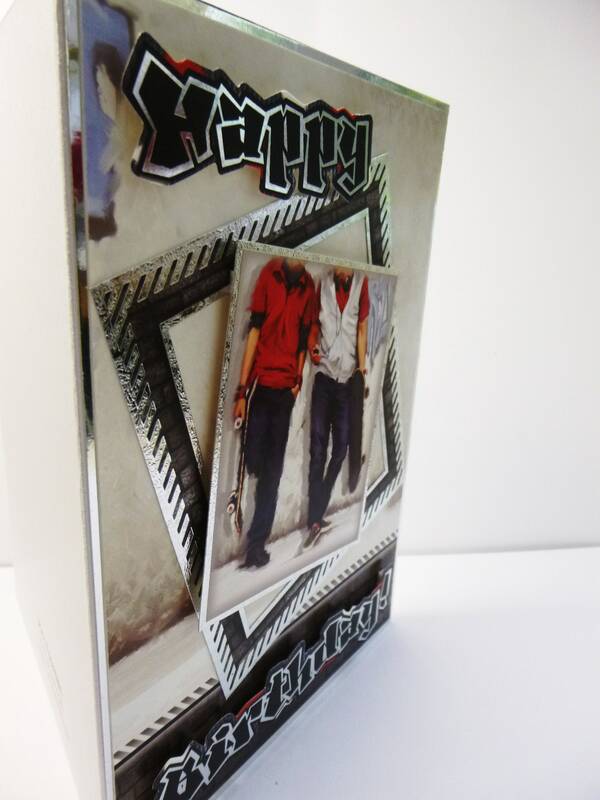 at the top of the card is the word 'Happy' and at the bottom of the card is the word 'Birthday'. 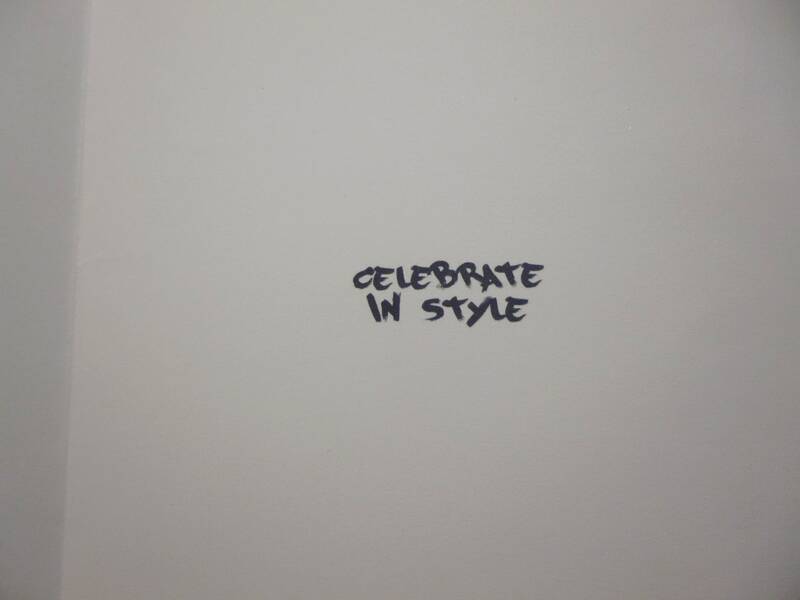 Inside the card is matching insert paper with the words 'Celebrate In Style'. 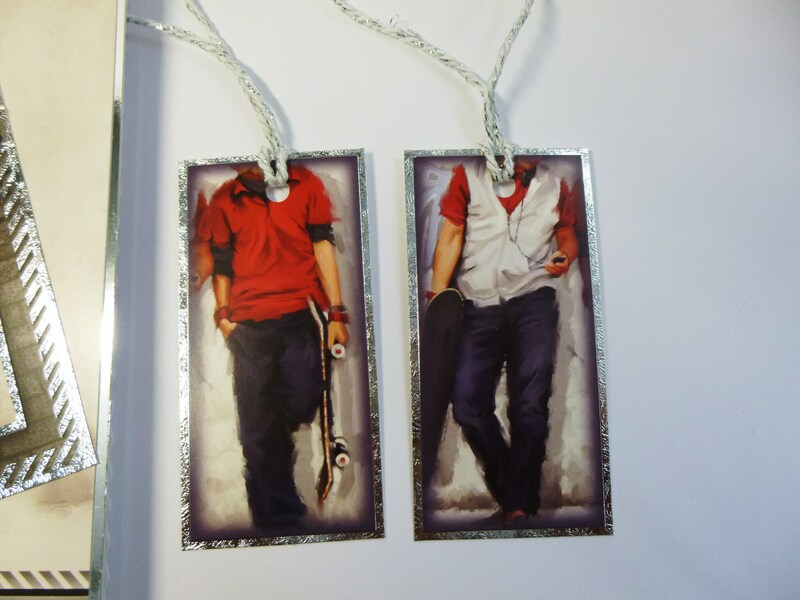 There are two tags which could be used as gift tags or book marks which are free with the card.